The world which we are policing is changing - and it is sometimes said that change will never be as slow as it is now! The public expect the police to continue with the core mission - responding to emergencies, investigating crime and neighbourhood policing - but they also expect an effective response to serious organised crime and online crime, a focus on crimes which target the most vulnerable and a determined response to a range of terrorist threats. This changing context requires us to be constantly forming and reforming, changing and reshaping. Police reform is not a criticism of the service but a way to ensure that everything we do is relevant and meets the needs of the public as best we can given the limited resources that we have. A series of short, fast-paced talks (against the clock!) from a range of diverse speakers who will showcase campaigns, projects and innovative practice that is having a positive impact in their area. The Mental Health Act Review – just another review? Practical impact - the impact of a ‘no-deal’ resolution and the potential implications this has on law enforcement agencies. Preparations - contingency planning in the event of a ‘no-deal’ scenario and the resulting implications this will have on operational policing and law enforcement. Public reassurance - what more can be done by policing and law enforcement agencies to best deliver public safety and reassurance in the build up to March 29th and immediately after? The plenary will conclude with an extended Q&A session where the panel will be joined by additional experts. 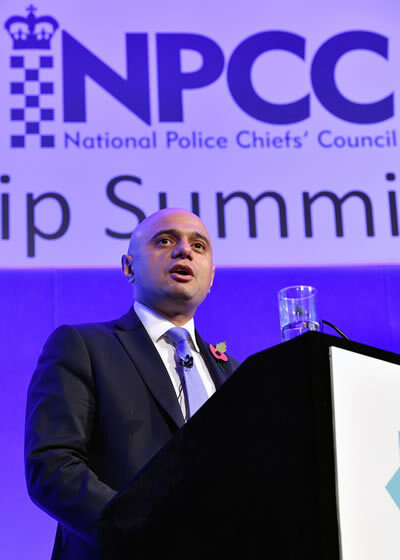 Next year the Government will carry out a departmental spending review and it is critical that policing makes a robust, evidence-based, case for resourcing the service. This session will provide delegates with an insight into the focus of the spending review submission and how we have come together across law enforcement to deliver the piece. We will explore the objectives of this work and our key narrative around demand and resilience, capability and efficiency & productivity. We will also look for delegates to provide a further steer on how we can reduce demand across law enforcement, how partners can assist in this, and how we can we can increase productivity. The public expect a criminal justice system (CJS) that delivers justice for all, with the police, courts, Crown Prosecution Service, government departments and other agencies working in a joined up, effective and accountable manner as a whole system. This session will explore the modern challenges facing the criminal justice system for police and prosecutors, what changes are taking place and what more is needed from all involved in the CJS to meet changing demands.